My dad’s side of the family has a tradition where we all get together, usually the week before Christmas, and have a nice meal together and open presents from our grandparents. Many of my cousins are now in college and we’re spread out over the country, and I love that most of us are still able to gather together once a year. This Christmas party is more on the casual side–cozy sweaters, jeans, t-shirt dresses–and most holiday blog posts I’ve seen are geared toward very dressy events. I thought I would share my laid-back, casual Christmas outfit if you are looking for a way to wear Christmas colors without looking like a Christmas tree. 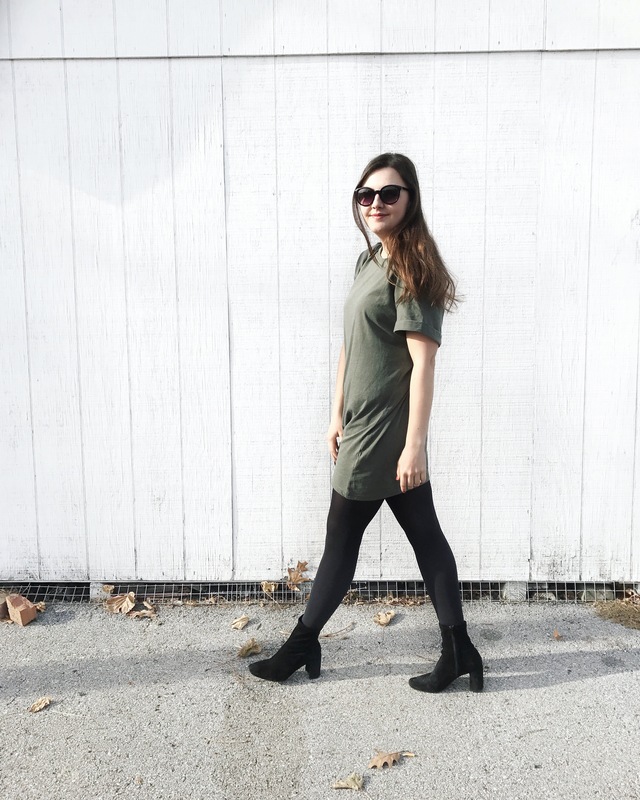 This olive green is more muted than the bright green usually associated with this time of year, and this dress is so comfortable and inexpensive! 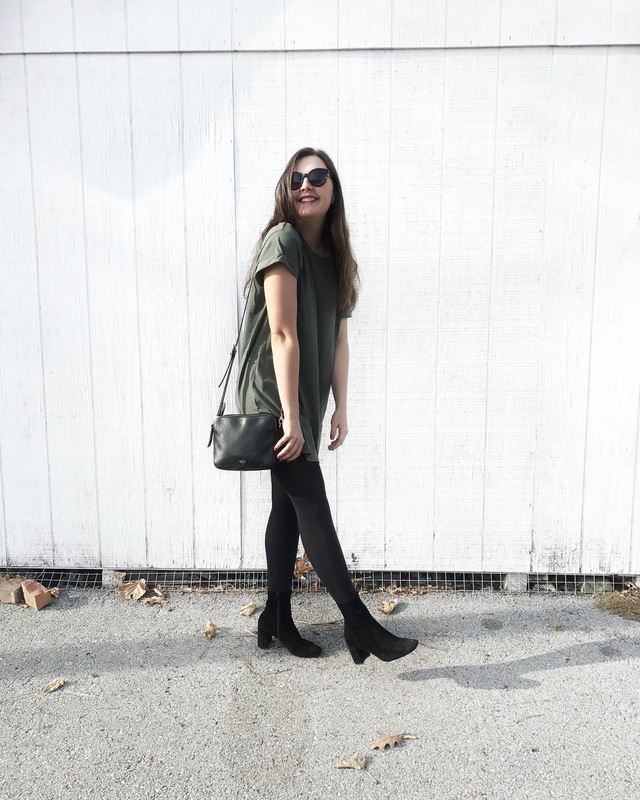 This entry was posted in Uncategorized and tagged ankle boots, army green, Christmas, fossil, h&m, jeffrey campbell, nasty gal, olive green, party, t-shirt dress, tee shirt dress, tradition, uniqlo, velvet boots. Bookmark the permalink.